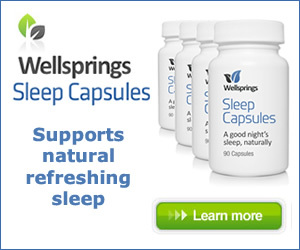 Tired of tossing and turning as sleep seems to elude you? Menopause can present sleep challenges, but there are some natural aids that can really help. Menopause affects our sleep as hot flushes and night sweats disrupt our normal pattern and wakefulness during the night seems to be more common as well. This impacts on our reaction time and our ability to think clearly – and at menopause ‘brain fog’ can occur if you are getting less than 4-6 hours sleep a night. You may have already noticed that when you have not had enough sleep you are more irritable and much more likely to more emotional and prone to outbursts of anger. Lack of sleep is tied to an increased risk of numerous chronic diseases such as high blood pressure and heart disease. Again these can be helped by natural progesterone, but prevention is always better than cure so how can you get a better night’s sleep? What is vital is to provide yourself with the ideal sleep environment, or as near as you can get to it. This may mean adjustments to your routine or lifestyle, but your health will definitely benefit. If you watch tv, or use your computer/tablet/smartphone and then fall into bed you could stop at least one hour beforehand to improve your chances of a good night’s sleep. This is because they all emit blue light, which tricks your brain into thinking it’s still daytime and stops your brain secreting melatonin and you need that to help you sleep. Again it is light that can disrupt your body’s natural clock and stop your pineal gland’s melatonin production. If you can’t completely shut out the light then try an eye mask. If you need a light to get up in the night, as is very common at menopause, then use a very low wattage red bulb. Light in this bandwidth does not shut down melatonin production in the way that white and blue bandwidth light does. Not advice most menopausal women need, but keeping the temperature between 60 to 68 F is the optimal room temperature for sleep and avoid too many covers or synthetic material for sheets and pillowcases. To keep your head cool investigate helpful aids like a Chillow, a cooling pad that goes under the pillowcase to keep your head cool. I know that seems to contradict the last point, but if you have it 90- 120 minutes before bedtime it increases your core body temperature. This means that when you get out of the bath it abruptly drops, and this alerts your body that you are ready to sleep. These seriously disrupt your sleep so use bioidentical natural progesterone to rebalance if you have oestrogen dominance. If they are severe then consider a combined cream of progesterone and oestrogen as this can be more effective for severe symptoms. Traditionally herbs have been used to aid sleep and the most commonly used are hops, passiflora and valerian and you can find them in combination in health stores. Lavender oil in your bath, or a few drops on the pillow, or a room spray can all help. If your sleep issues relate to anxiety then Rescue Remedy Sleep can help calm you down.